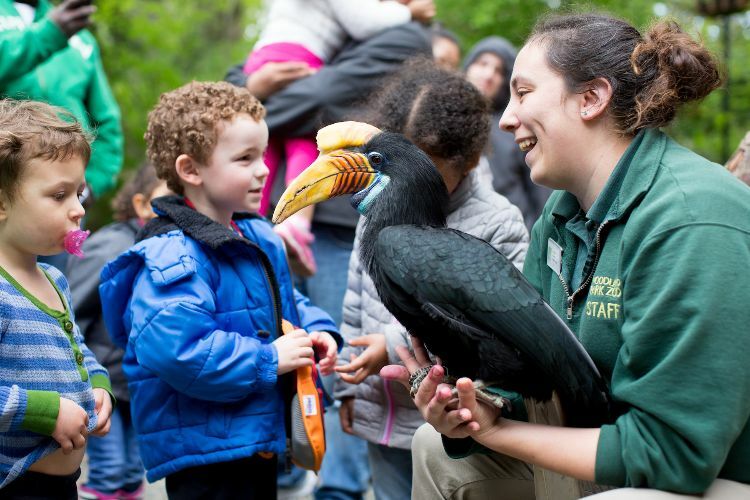 Meet and greet ambassador animals, check out Woodland Park Zoo’s new Mobile Zoo and pay tribute to Duwamish Valley Youth Corps (DVYC) for their environmental service in the community. The public is invited to meet zoo staff and animals, learn more about the contributions of DVYC’s teens, and chat with The Seattle Public Library and other community partners. The Duwamish Valley Youth Corps is a paid environmentally-based job skills program for teens that supports restoration and revitalization of the community, including participating in Duwamish Alive! on April 20. Saturday, April 27, 1:00–3:00 p.m.
Woodland Park Zoo’s ambassador animals and new Mobile Zoo. Approximately 30–40 teens are expected to attend, along with The Seattle Public Library and the South Park community. Special guests include Seattle City Councilmember Lisa Herbold and Duwamish River Cleanup Coalition Executive Director Paulina Lopez. The Duwamish Valley Youth Corps program is shepherded by the Duwamish River Cleanup Coalition (Technical Advisory Group for the Lower Duwamish Waterway Superfund site). Several goals of the program include: training and engaging youth in environmental and community health projects; stewardship and community cleanup events; work on graffiti painting supporting the public safety priorities; work on air pollution providing neighbors air filters to improve indoor air pollution. Woodland Park Zoo will use the new Mobile Zoo to bring ambassador animals to community events and schools throughout the region to help increase inclusion and participation among audiences who have previously experienced geographic, economic, cultural or ability barriers; and to offer programs that build connection, empathy, and respect and appreciation for wildlife. For more information or to become a zoo member, visit www.zoo.org or call 206.548.2500. Founded in 1899, Woodland Park Zoo engages more than a million visitors of all ages, backgrounds, abilities, and walks of life in extraordinary experiences with animals, inspiring them to make conservation a priority in their lives. The zoo is helping to save animals and their habitats in the wild through more than 35 field projects in the Pacific Northwest and around the world. Woodland Park Zoo is accredited by the Association of Zoos & Aquariums and certified by the rigorous American Humane Conservation program. The Humane Certified™ seal of approval is another important validation of the zoo’s long-standing tradition of meeting the highest standards in animal welfare. Visit www.zoo.org and follow the zoo on Facebook, Twitter and Instagram. 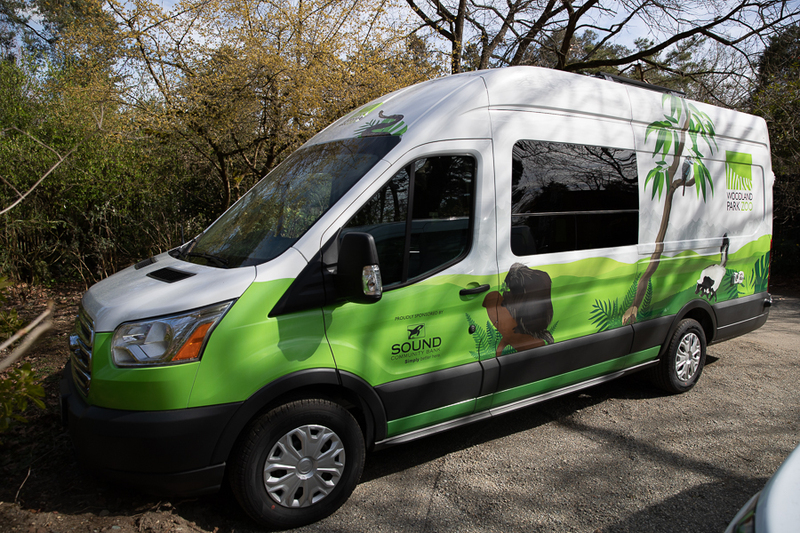 Photo: Woodland Park Zoo's new Mobile Zoo will bring ambassador animals on April 27 to South Park Community Center to celebrate Duwamish Valley Youth Corps for their environmental work in the community. The public is invited to join from 1:00 to 3:00 p.m. Shown in photo is ambassador animal Blueberry, a knobbed hornbill. Cute alert: red panda cubs have opened their eyes!